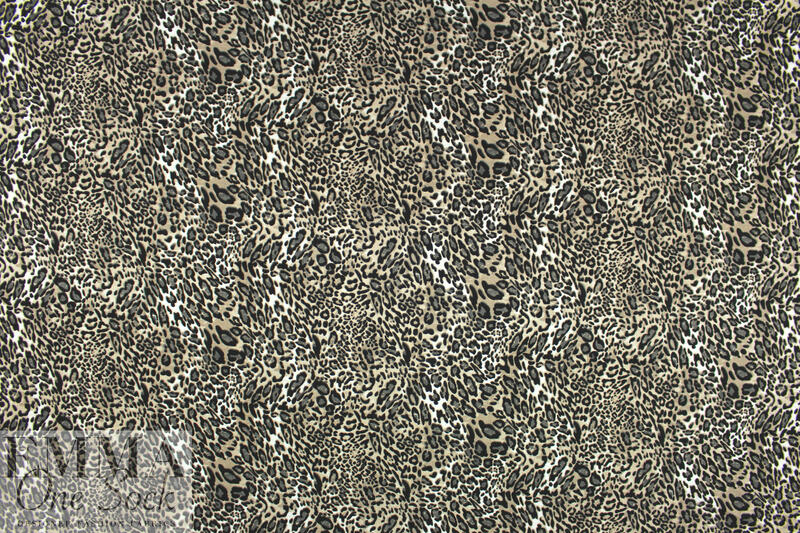 Out of stock, new yardage arriving late June. You may order now and we'll ship when it comes in. 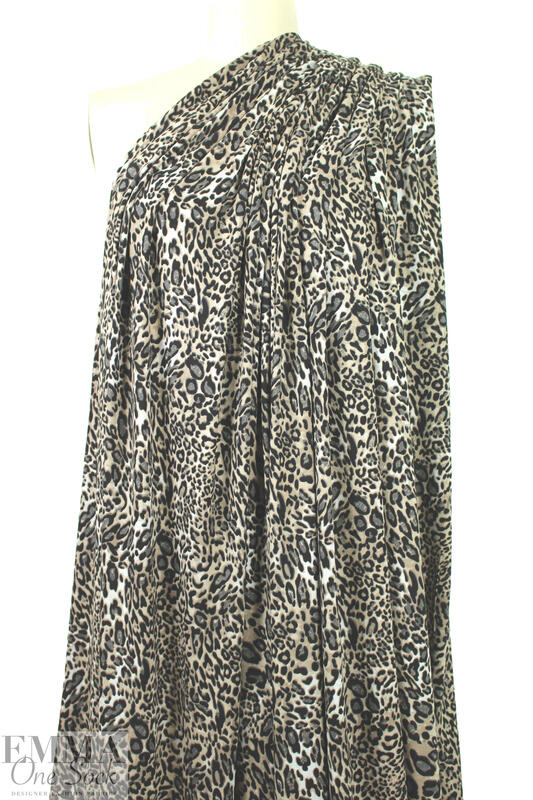 This is a fabulous viscose/lycra 4-way stretch knit, lightweight yet opaque, with lovely drape. 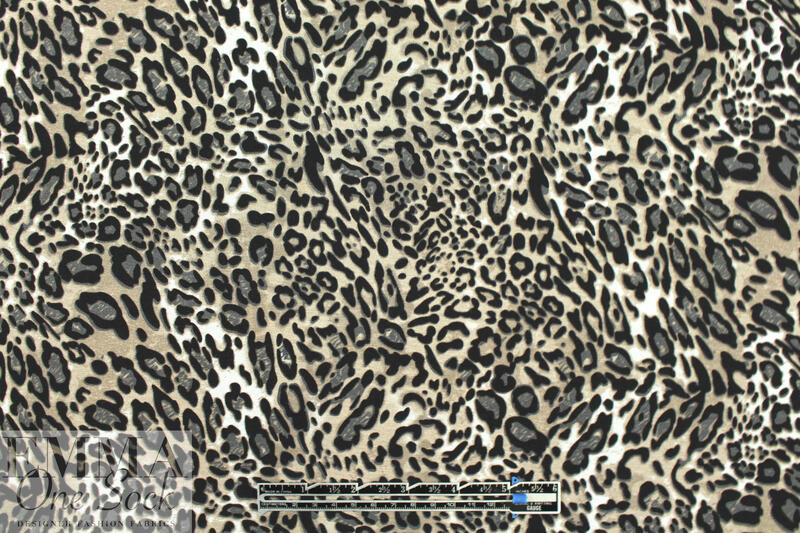 The stylized leopard print (6.75" repeat) features shades of french roast, gray taupe and off white (PANTONE 16-1406, 19-4205, 18-4105). 80% stretch in the width, 40% in the length, with great recovery. 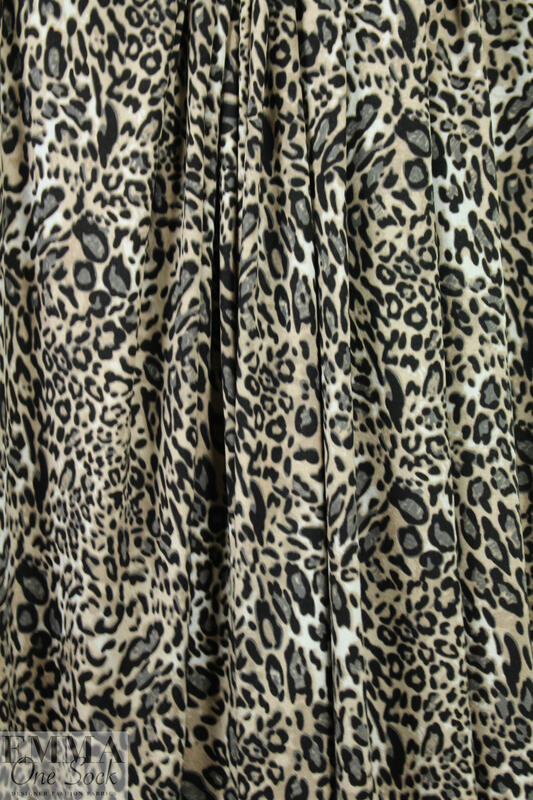 Great for tees, tops, tunics, dresses, etc. Beautiful quality! Test first if you would like to hand or machine wash, and hang to dry.